Using Sass makes your web design projects much easier to build, scale and maintain. Taking the time to explore and learn Sass will yield many benefits. 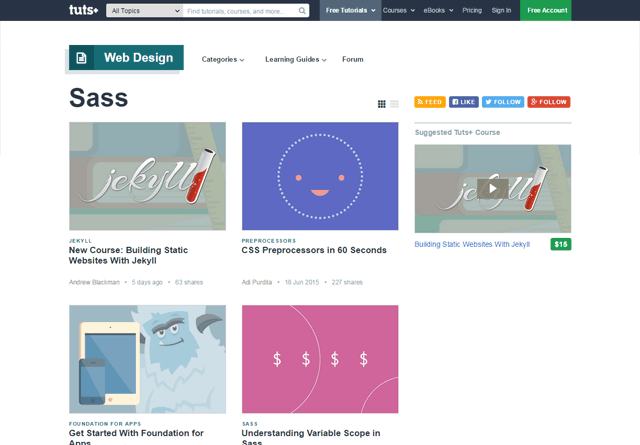 The Sass community is passionately helpful, so there’s no shortage of Sass tutorials, articles and guides on the Web. In this post, allow me to share my list of favorite sites for learning Sass with you. This site publishes excellent Sass tutorials and guides. Their tutorials/guides are divided into beginner, intermediate and advanced categories, which makes it easy to find content that’s appropriate to your interests. The Sass Way also covers news about Sass. I’ve had the awesome opportunity to write for SitePoint. As someone who’s seen SitePoint from behind the scenes, let me tell you, the editors over there take Sass seriously. Sass is one of the most popular topics covered on SitePoint. In the last couple of months, they’ve posted sixteen or so articles and tutorials related to Sass. That’s more Sass content than sites that are exclusively dedicated to covering just Sass. 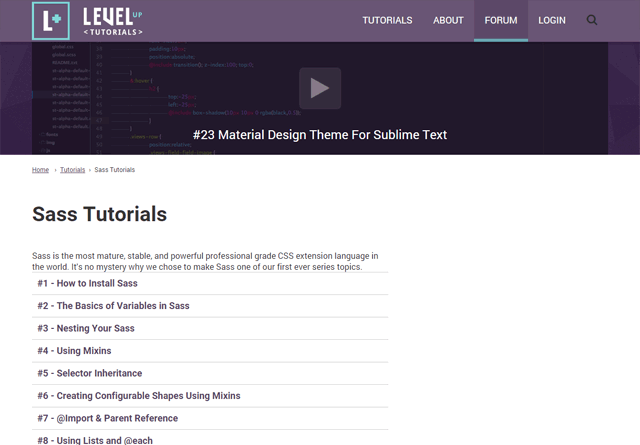 Level Up Tutorials has a great series of tutorial videos on Sass. The tutorial series is up on YouTube. The tutorial series starts off with the fundamentals, walking the learner through the installation of Sass, and then progresses in difficulty until all the key Sass features have been covered. This is a blog by David Conner and Guil Hernandez that they’ve dedicated to the Sass community. 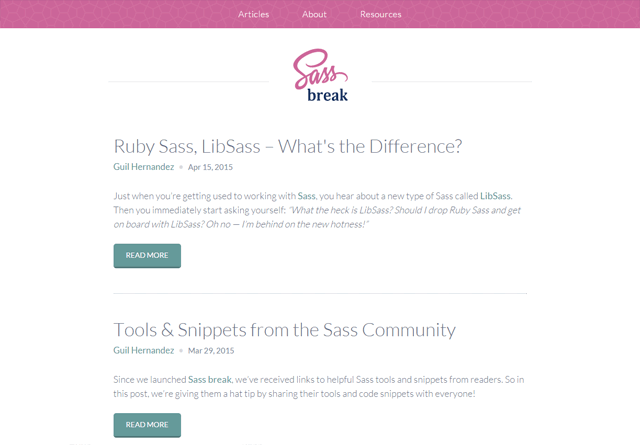 Their blog posts embrace a wide array of Sass subjects: Ruby Sass vs. LibSass, media query mixins and more. Sass News is an email newsletter on — You guessed it! — Sass news and links. 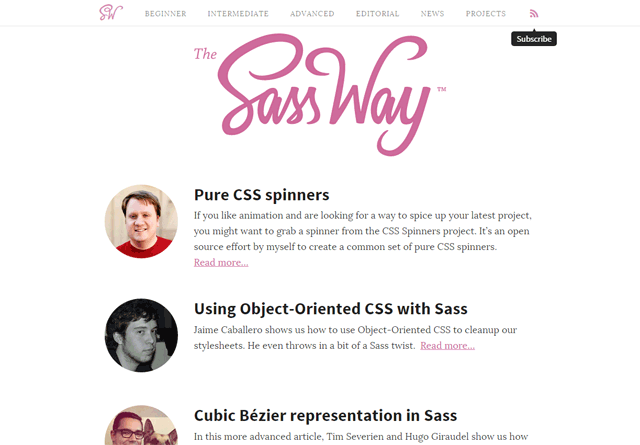 This newsletter regularly shares links to Sass tutorials, guides, articles and demos. 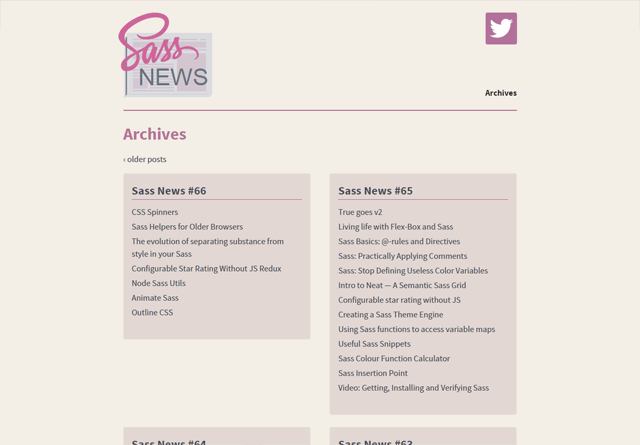 Check out the Sass News archives to find all the links they’ve posted so far. I’m a huge fan of the Tuts+ network of websites — they continually put out top-notch tutorials. 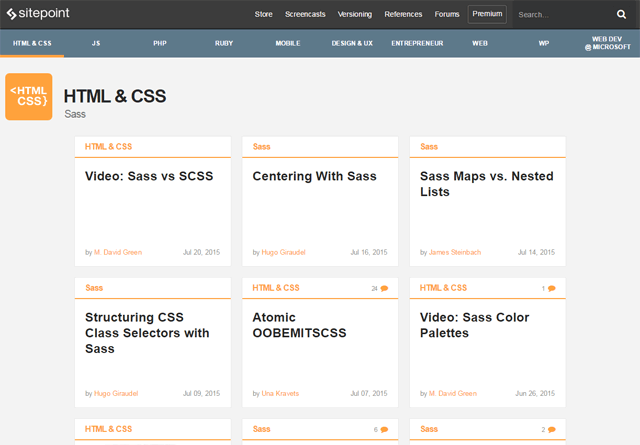 As for Sass tutorials and guides specifically, you’ll find plenty on Tuts+ Code and Tuts+ Web Design. 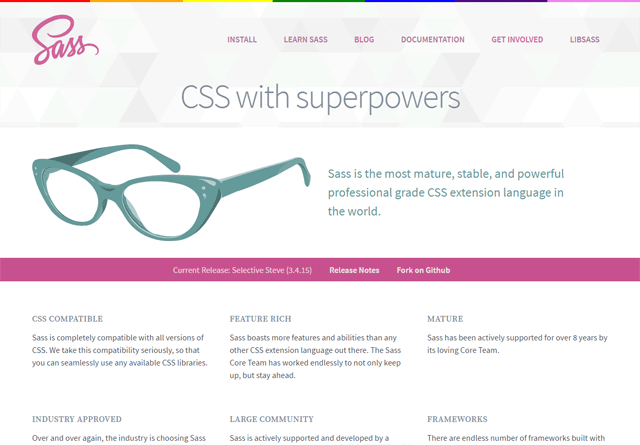 When it comes to learning Sass, it’s hard to beat the official Sass website. Folks wishing to learn Sass will probably hit up this site first. The site’s got content for beginners as well as advanced Sass users. Beginners should start at the Sass installation guide. Intermediate and advanced Sass users will probably want to jump straight to the docs. 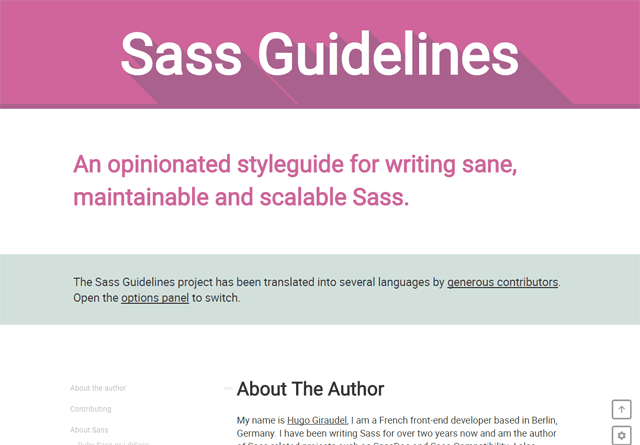 This is a Sass-authoring style guide by French front-end developer, Hugo Giraudel. This site is a great way to learn (opinionated) Sass-authoring best practices. This site was suggested by Six Revisions reader Fremo in the comments. If you’ve never used Sass before, check out my tutorial: Use Sass Within Minutes. In the tutorial, I’ll walk you through the steps for setting up Sass using a neat app called Prepros. The tutorial will help you build your first Sass project. What’s Your Favorite Sass Resource? What are the sites, tutorials, courses, resources and/or books that have helped you learn Sass? Share them in the comments! Jacob Gube is the founder of Six Revisions. He’s a front-end developer. Connect with him on Twitter.